Are you aware that you have potential leaders all around you who need to be developed into actual leaders? Rising Sun Consultants can help your organization execute a healthy developmental program that is sustained, systemic and systematic. Sustained development is a series of related learning opportunities that support individual growth and organizational success. Systemic development is creating a work culture that does not change depending on who is responsible for professional development. Leadership training remains consistent and is integrated in all aspects of the organization. Systematic development is a methodical and intentional process that is aligned with the mission, vision, and guiding principles of the organization. 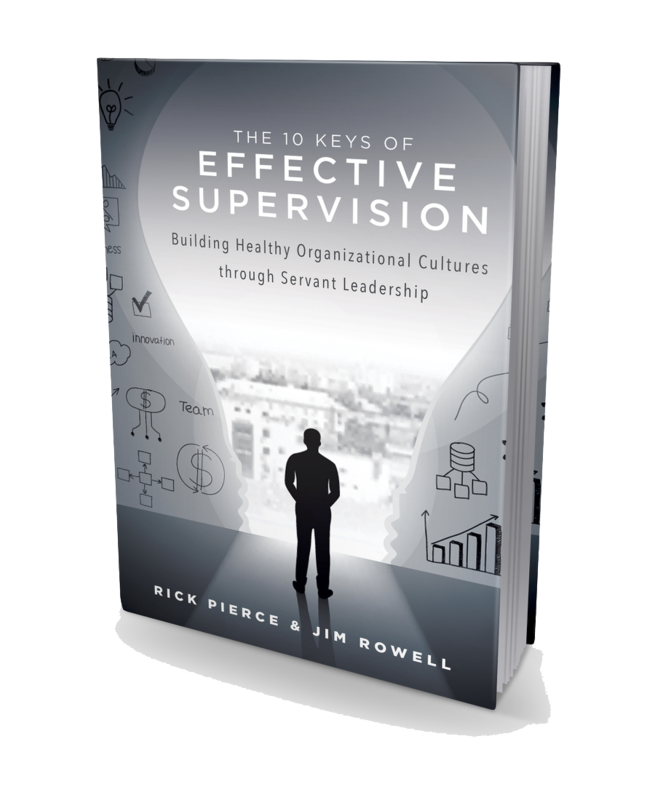 The 10 Keys of Effective Supervision: Building Healthy Organizational Cultures through Servant Leadership is the culmination of more than a decade of study and research involving our corporate clients, as well as the hundreds of people who have attended our seminars and workshops on the 10 Keys of Effective Supervision™. The 10 Keys™ approach differs from that used by many organizations as we see supervision as having more to do with coaching than strictly instruction and accountability. From our perspective, the supervisor’s role should have a balance between high expectations and accountability and establishing a culture that encourages individual growth and development. Thank you! Enjoy Chapter 8 - and let us know your thoughts. Thank you! We will send you important updates and tips on occasion. Reach out if you have any questions, or follow us on Facebook. LOCATED in PA - Serving the world. One of the most critical, yet under rated skills of leadership is the gift of valuing others.